With the 57 Convertible, Viking presents another blue-water classic. 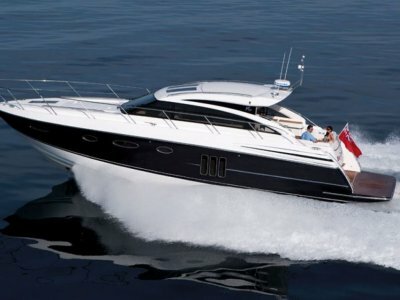 Its striking profile is the result of a robust hull with a graceful sheer. A black metallic mask 'front window' defines the curvy deckhouse crowned with its wraparound low profile and flying bridge and solid hardtop. But the 57 Convertible is more than just great looks. This boat is built to perform. Powerful 1,360hp MAN common rail diesels delivers a high cruise speed and, when you need it, a top end over 35 knots. A sharp entry slices through head seas effortlessly and her wide flaired bow keeps any sea from 'intruding'! Stable in beam seas too, the 57 is designed to get offshore in a hurry, stay late and still get back to the dock well ahead of the fleet. And for cruising, one will appreciate the prop pockets designed into the hull, which reduce the draft opening up greater anchoring possibilities. 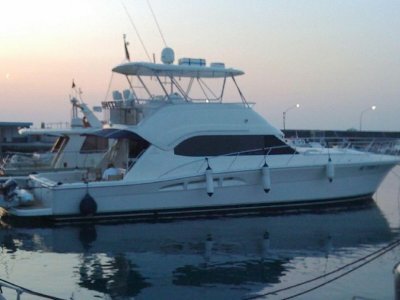 This 57 was specifically built to order for Europe (220V-CE) and was delivered to Italy; she is a one owner yacht. 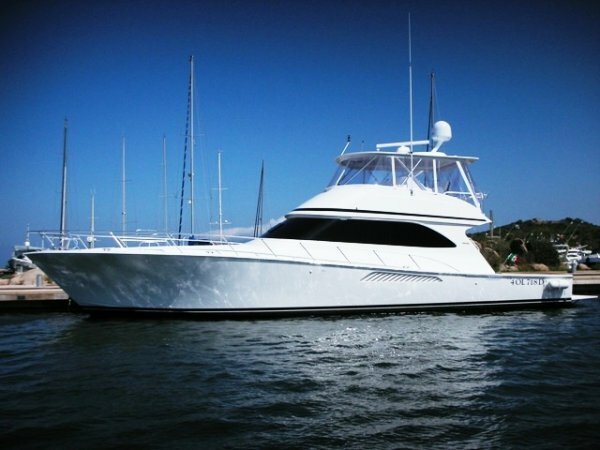 To cater to a large family or many friends, she has three cabins (sleeping 6) and each with its own ensuite bathroom. 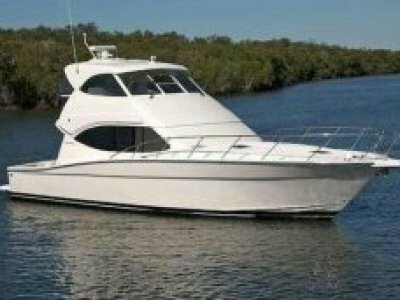 Used only for a few months over the summer season, located in a temperate climate and exceptionally well cared for by her owners and the crew, she is LIKE NEW!! 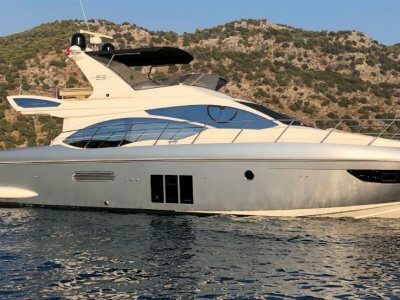 Please feel free contact us for a color brochure & specifciation list or for any questions regarding purchasing this yacht in Europe, using her here and or shipping it home to Australia or New Zealand. Price excludes our selling fee.